Excellent service including the battery delivery time,well packed and will recommend Tayna to anyone needing a battery. Many Thanks. Very good service -st battery came but had leaked. Phoned customer service an received an imeddiate response. Replacement revived next day. Excellent replacement for my ride-on mower battery. Exact size and capacity replacement. Came extremely well packaged and simple to prepare and install. five stars for what it is which is a standard battery without gel or fibre so straight lead acid that will leak if I drop the bike. Having said that I could have payed more and got a better one but felt this would be fine, dont want to tempt fate so I wont say what I am hoping. Not had the battery for long so cant say too much but it starts the bike at subzero temps (old k75 750 bmw triple)and holds a charge and I am sure it will be fine for the next 10 years or so. Came very quickly but a little fiddly to fill with the supplied acid and the was a sticker with fill to marks that obscured the acid level when filling it but could see through the holes what the level was. So good service from tayna and an adequate battery for a reasonable price. Fast delivery well packed. Easy to fill and charge A very tight fit due to the vent being inline with the motorcycle frame. Bike started with new battery fitted. Needed a quick cheap replacement battery for my 1984 Moto Guzzi Lemans. Ordered this and paid extra for next day delivery and it arrived as promised. Very happy. Cheapest battery I could find. No fill or level marks on battery, so had to guess, no bolts to attach leads. 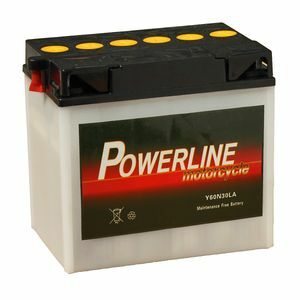 Deffinately a cheap battery, don't expect it to last to long, but bought to sell motorcycle, so will serve its purpose. On time as described fits the bike and does the job!! Great. Great value battery, Next day delivery. Will use again. Thank you.